I was invited to Fabrica Research Communications Centre, in Treviso, Italy for a trial period. During my time there I worked on 5 mock briefs, including clients Airbnb, United Colours of Benetton, Sisley and Seletti. I chose to showcase the identity project I conceived for Airbnb's experiential installation in Milan during the Salone del Mobile. Designers from Fabrica were invited to design their own space and experiences inside the Baroque style Palazzo Crespi with their own interpretation of house-warming and belonging in their respective countries and cultures. 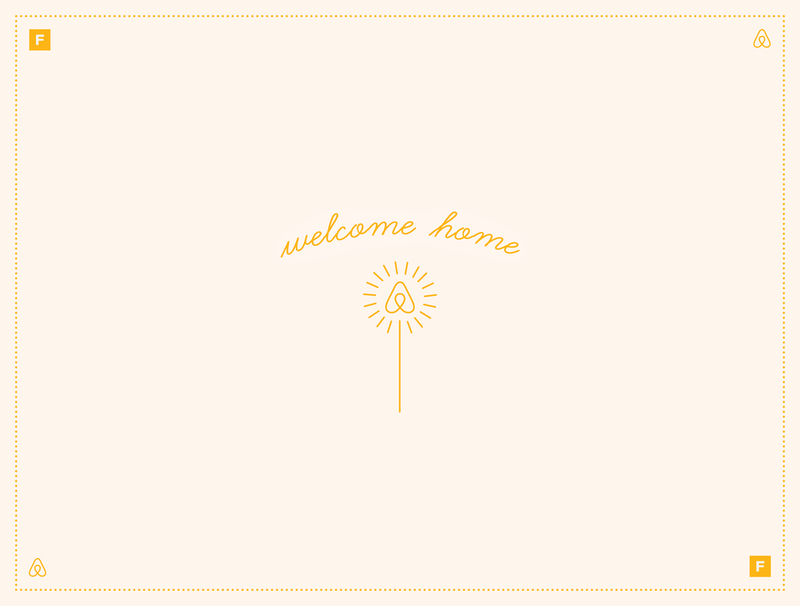 The “Welcome Home“ phrase sparked from the idea of anticipating one’s arrival by leaving on the light outside ones home. The identity created could either be interpreted as a burning candle for light or a sparkler for celebration. Light is represented as a guide and a source of warmth translated through household objects like fireplaces, a whistling kettle for a cup of tea etc. The celebration aspect speaks about the uniting of two cultures, through the sharing of knowledge and customs, the core philosophy of Airbnb. The icon can be simplified to contain only the outer circle to create fireworks to follow through the idea of celebration. 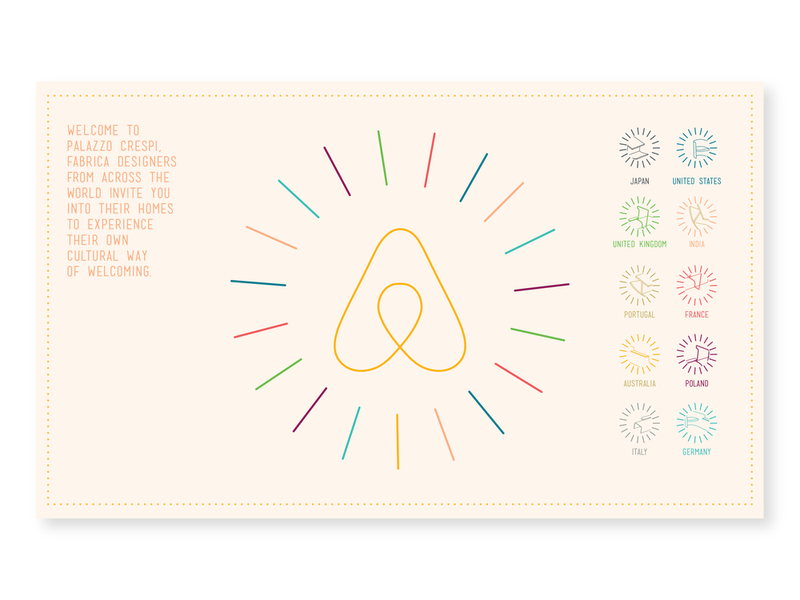 Each coloured stroke (chosen from Airbnb's colour palette) that makes up the circle is representative of designers from their corresponding countries. 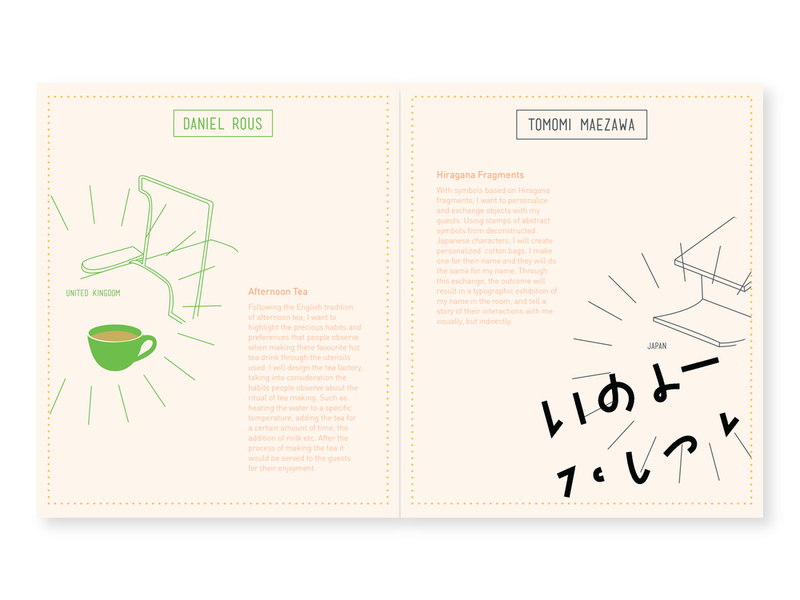 identities for each designer through vectors and close cropping of the drawings. Each designer would have their own unique identity along with the colour representative of their own country. 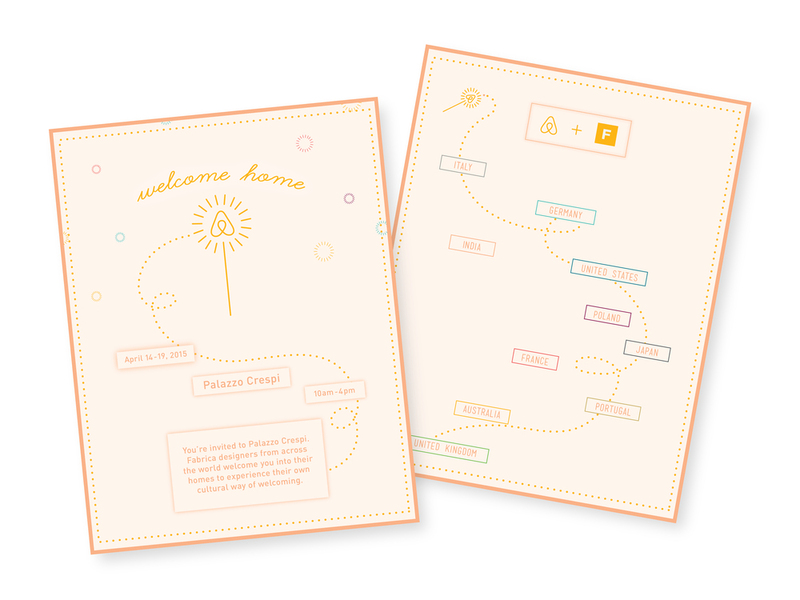 Elements from one’s own room of welcome would also illustrated, and juxtaposed in their catalog. Pieces created for this project included concepts for an identity, catalogue, invitation and poster. 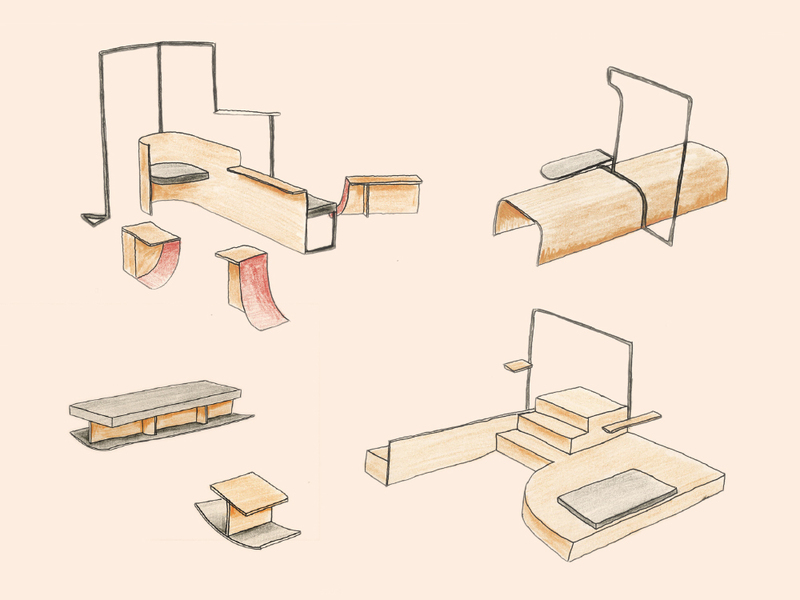 Technical Drawings drawn by Daniel Rous.